Dharma talks being given in Southern, Northern California. This year, for the first time, the Institute for Buddhist Studies and the Buddhist Churches of America (BCA) Center for Buddhist Education will be presenting the Winter Pacific Seminar in the Northwest at the Seattle Betsuin Buddhist Temple. Prof. Tomoyasu Naito, kangaku, and professor emeritus of Shinshu studies at Ryukoku University in Kyoto, will be the keynote speaker. The designation of “kangaku” is the highest academic rank within the Jodo Shinshu Hongwanji-ha, a school of Japanese Pure Land Buddhism. Naito’s lecture will be in Japanese with English translation provided by Rev. Mutsumi Wondra of Orange County Buddhist Church. An afternoon lecture will be provided in English by Rev. Kiyonobu Kuwahara, BCA Center of Buddhist Education co-director. A Japanese Dharma message will be given at the Seattle Sunday service on Sunday, March 8. Prior to the Winter Pacific Seminar, Naito will participate in educational seminars and conferences at eight temples in California. Lectures and seminars will be delivered in Japanese with English translation; Japanese Sunday service messages will not be translated. Orange County Buddhist Church, 909 S. Dale Ave., Anaheim, on Sunday, Feb. 1. Japanese Dharma message at Sunday service. Senshin Buddhist Temple, 1311 W. 137th St., Los Angeles, on Monday, Feb. 2, from 7 to 9 p.m. Q&A “gojidan” style. Los Angeles Hompa Honwanji Buddhist Temple, 815 E. First St., Los Angeles, on Tuesday, Feb. 3. Southern District Ministers session, “Contemporary Society and Pure Land” (Gendaishakai to Jodo). Los Angeles Hompa Hongwanji Buddhist Temple on Feb. 7 and 8. Southern District seminar, “Life of True Shinjin — True Teaching,” on Saturday from 9 a.m. to 3:30 p.m. Japanese Dharma message at Sunday service at 10 a.m.
San Jose Betsuin, 640 N. 5th St., San Jose, on Thursday, Feb. 12. Coast District Buddhist Women’s League Conference, “Buddhist Women: The Heart of Our Temple.” Coast District Ministers session, “Karmic Evil and Sin” (Zaiaku to Tsumi). San Mateo Buddhist Temple, 2 S. Claremont St., San Mateo, on Feb. 14 and 15. Nembutsu seminar on Saturday, “Pure Land and Contemporary Society.” Japanese Dharma message on Sunday for Nirvana Day service. Buddhist Church of Florin, 7235 Pritchard Rd., Sacramento, on Saturday, Feb. 21, from 1 to 4 p.m. Northern California District seminar, “Contemporary Society and Pure Land” (Gendaishakai to Jodo). Events are subject to change. Contact host temples to confirm dates, times and other details. Contact information is available at www.BuddhistChurchesofAmerica.org. 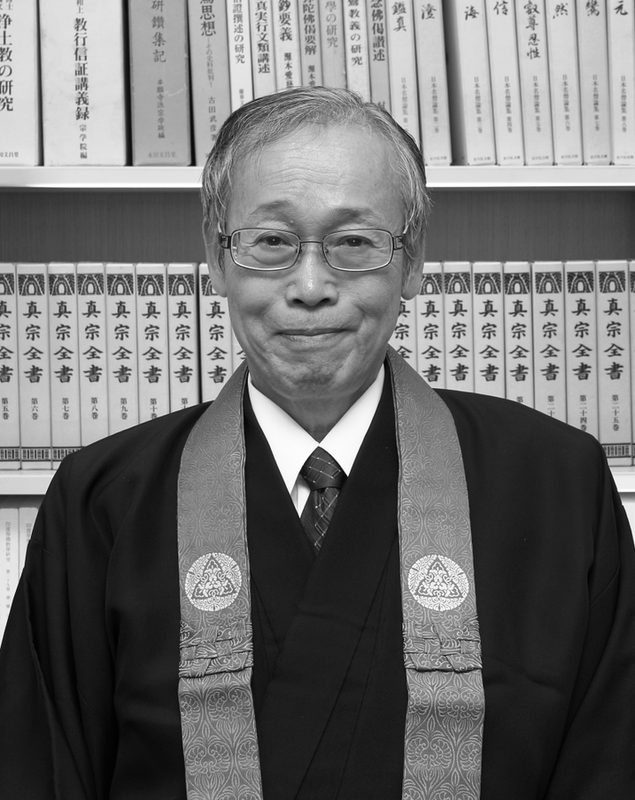 Born in Osaka Prefecture in 1945, Naito is a graduate of Ryukoku University and the Jodo Shinshu Hongwanji-ha Shugakuin. 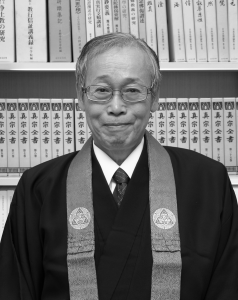 He is a professor emeritus of Shinshu studies at Ryukoku University, a member of the Hongwanji Kangaku Committee of Special Advisors to the Gomonshu (head abbot), and a resident minister of Kakujoji Temple in Fukui. The Pacific Seminar-21st Century, co-sponsored by IBS and BCA CBE, traces its roots to the 1950s when the Berkeley Buddhist Studies Center began offering seminars for diverse seekers of all generations and backgrounds, dedicated to the lifelong pursuit of the Dharma. Since the completion of the BCA Jodo Shinshu Center five years ago, a two-day summer session has been hosted annually in Berkeley featuring international scholars and teachers, including the late Rev. Dr. Taitetsu Unno, Rev. Tetsuo Unno, Rev. Dr. Mark Unno, Prof. Nobuhiro Fukagawa (kangaku), Dr. Mark Blum, Prof. Keiko Toro, and the late Dr. Takamaro Shigaraki. Three years ago, a winter/spring one-day session was added, hosted by the Los Angeles Hompa Hongwanji Buddhist Temple in 2011 and 2012 and at the Gardena Buddhist Church in 2013. This year continues the effort to share the Pacific Seminar beyond the Jodo Shinshu Center. For further information visit the BCA website, email [email protected] or phone (510) 809-1460.